With a 24/7 availability, you can rely on the technicians of RestorationMaster to return your home or building to its original condition in a timely manner. If you are looking for any of the following services mentioned above, you can rely on us to get the job done right the first time. We are available at (360) 450-3505 in the Longview, WA area. Dealing with severe water or flood damage is not only stressful, it can be traumatic as your building materials are quickly sustaining severe amounts of damage by the second. As treatment is needed right away, no hesitation should be taken when calling RestorationMaster in the Longview, WA area for water damage restoration. Not only are we available 24/7, but we will be on our way as soon as we receive your call to prevent as much additional damage as possible. Our specialists both trained and experience in all areas of water damage to extract all excess water, set up drying equipment, and restore all building materials to their original conditions. We will also work with your insurance provider to allow you to focus on other matters during the claims process. When it comes to fire damage, the effects can be devastating as the damage may have spread to all areas within the property. As soot and smoke cover the building materials and content, it will leave a thick residue that causes etching and tarnishing. This will cause additional and even permanent damage if treatment is not made within a specific amount of time. That is why the experts at RestorationMaster will respond right away to apply professional products that will reverse the effects of the damage and return the building materials to their original conditions. We will also provide content cleaning services for personal items that have been damaged. Finally, we will work with your insurance agent during the claims process to coordinate which items can be restored and those that do require replacement. If your property has been affected by water damage, the cleanup process is already stressful to handle; however, when the water is contaminated by dangerous bacteria and pathogens, those residing within the property are at risk for serious health effects. As this water is dangerous and is considered an emergency situation, sewage contamination cleanup services in the Longview, WA area from RestorationMaster must be contacted right away. Our technicians will arrive right away to remove all sewage water, dispose of all soiled materials, and disinfect the remaining hard surface, non-porous surfaces to provide a safe and healthy environment for you and your family or staff again. 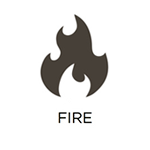 Many home and business owners believe that the flames are what cause the most damage to their building and belongings during a fire. However, evidence has proved that it is actually the soot and smoke residue left to cover the remaining surfaces that compromises their structure. This oily, thick residue will cause etching and tarnishing to the structure, changing its composition. This is why it is crucial to call soot and smoke damage restoration services right away. The technicians at RestorationMaster are on standby 24/7 in the Longview, WA area to ensure that you get the help you need at the time of the emergency. With the proper products and equipment, our technicians will have as much building materials and belongings as restored as possible. 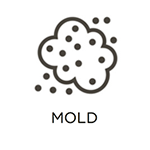 If you have discovered that mold has infected your property, no hesitation should be taken when having it removed. However, you should not try to remove it yourself as it must be cleaned with unique products that will take care of all areas as well as the source; therefore, any improper cleaning techniques may cause it to spread even further. It should also be removed right away because it has the potential to affect those who are battling allergies as well as asthma. It can cause breathing problems, coughing, watery eyes, itchy eyes, and more. But RestorationMaster is able to provide professional mold remediation services in the Longview, WA area to remove all cases of mold at their source. Our technicians will also identify at-risk areas to avoid any future cases as well as preventing it from returning in the future. It can be quite frustrating to enter your property and discover a foul odor. Whether it is leftover from a particular type of damage, such as water or fire, or it is the first sign of structural damage, it can be difficult to remove. Although small odors can be removed with home remedies, such as Febreze or Lysol, the stronger odors will require something more powerful. Whether the odor was derived from a fire, mold, skunk, pets, or other powerful source, the technicians at RestorationMaster are available in the Longview, WA area to have it fully removed. With advanced products, they will apply an eco-friendly chemical that is designed to penetrate the odor particles and break them down from the inside. Finally, with these products, you can return to a fresh, clean environment again. While there are many disadvantages that come with debris-filled ductwork, a clean HVAC system will produce many benefits for other areas of your home or building. As long as the system is cleaned frequently, you can expect an efficient use of electricity, clean breathing air, lower risk of water, fire, or mold damage, and other advantages. RestorationMaster a proud provider of air duct cleaning services in the Longview, WA area, recommends a cleaning at least every 5 years. Our technicians have years of experience and will identify areas that will need the most attention while ridding all parts of the system from dirt and other filth. Call us today for a free estimate or to schedule your appointment. The thought of discovering that your belongings have all been ruined by a natural disaster, such as a flood or fire, it can be deeply traumatic. Especially for those with porous surfaces, the damage will seep in quickly, even compromising their structure. While the damage will continue to spread over time, it is crucial to have treatment as soon as possible. RestorationMaster is available 24/7 in the Longview, WA area to provide content cleaning and pack out services. In the event that your property has been too severely damaged, we will also carefully pack and transport your belongings to our facility and restore them there. They will then be delivered to your door as soon as the repairs are finished on your property. 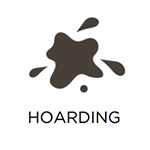 When it comes to cleaning up a home from a hoarded mess, the issue is much more complicated than simply removing the belongings and disinfecting the property. As the individual is affected by a strong disorder that causes them difficulties when parting with their belongings, they must be treated with compassion and understanding throughout the process. They must first understand that their habits are creating an unsafe environment, such as fire risks, slip and trip hazards, and the potential for mold to grow. As soon as you have discussed this issue with them, contact RestorationMaster right away for hoarding cleanup services in the Longview, WA area. Our technicians will arrive right away, establish a relationship with the individual, and begin working effectively to ensure that the property is returned to a clean and healthy environment. While a carpeting can certainly contribute to the aesthetics of a room, it requires maintenance in order to keep a fresh look. One concept that is often overlooked is the amount of foot traffic received by the furnishing each day. Although the fibers will hide them, the embedded dirt and debris will accelerate the deterioration process. Vacuuming can extract the majority, however, it will not remove the dirt that has become stuck within the fibers; it will require a professional carpet cleaning job to remove them effectively. RestorationMaster is available 24/7 in the Longview, WA area to effectively have carpets cleaned within 24 hours. Utilizing a unique method with advanced equipment to restore the carpet to its like-new condition, our specialists will even extend its lifespan. Just like carpets, furniture and upholstery are one of the property’s most heavily used furnishings. Whether kids are rough-housing on the couch or it has a giant coffee stain that was left from three months ago, only a professional cleaning can return it to a like-new condition. RestorationMaster is available in the Longview, WA area to provide professional furniture and upholstery cleaning services. Our technicians are both licensed and experienced to employ advanced cleaning equipment and effective technique to remove all debris from the fabric. 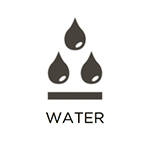 Safe for using on upholstery of all types, the hot water extraction method has been proven to leaving furniture looking just as it did when first bought. Don’t hesitate to give us a call for more information, a free estimate, or to schedule your appointment! When it comes to the overall restoration and rebuilding of your property, it should be repaired and cleaned. When it has only been repaired, the results can be disappointing; therefore, finding your property covered in dirt, dust, and construction debris can be frustrating. In addition, it can be overwhelming to find it in a large building. However, RestorationMaster provides professional post construction cleanup services in the Longview, WA area to fully remove all unwanted remains from the construction site. From sweeping and mopping to the floors to dusting the ceiling, you can expect your property to be fully cleaned and repaired in a timely manner. Of course, immediate restoration and reconstruction services are imminent if your home or building has been severely damaged after a natural disaster. But these services will require time to coordinate, prepare, and assess the damage before the property can be returned to its original condition. In the meantime, if the structure is left in an unstable condition, it faces the risk of additional damage or even collapse if it is not stabilized. But RestorationMaster is available in the Longview, WA area to provide emergency board up and tarping services to secure the property until reconstruction and restoration services can occur. We can also provide these services to save you the time and effort of coordinating with different companies during the repair process. While finding a trauma scene covered in biohazards is not common, we find ourselves not knowing where to turn when it does happen. But the first step to take is calling law enforcement to gather evidence, afterwards, contact RestorationMaster right away for emergency biohazard and trauma scene cleanup in the Longview, WA area. 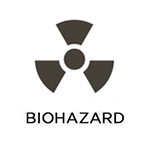 Our professionals are available 24/7 to serve both commercial and residential properties, removing all biohazards from the scene while restoring a safe and healthy environment. We will also work with your insurance company during the claims process as well as with law enforcement to work around any undisturbed evidence. Don’t hesitate to give us a call to protect your safety as well as prevent permanent damage to your building materials. When a disaster such as a fire, flood, mold infestation, or large storm leaves a property in a critical condition, the feeling can be so overwhelming that it can be difficult to know where to turn. But the damage will continue to spread until appropriate repairs and treatment can be made. That’s why it is crucial to call RestorationMaster for emergency reconstruction services in the Longview, WA area. Our technicians will handle everything from restoration services to general contracting for restoring your building to its original condition. Our training and experience have allowed us to handle properties of all sizes and types, rebuilding them in a timely manner. Don’t hesitate to give us a call during any property emergency. Restoring the property and equipment of your business following a major disaster can be a daunting prospect. Not only will your operations be affected, but so too will your finances. Here at RestorationMaster, we keep all of this in mind when providing our commercial restoration services. Our vast restoration experience allows us to be your single point of contact for restoration needs, permit acquisition, and overall project management. At the end of the day, we pride ourselves on helping businesses through our cost effective and timely restoration services. If your company has suffered any amount of property damage, and is located in or near Longview, WA, we encourage you to give us a call. If you have recently experienced a natural disaster or are considering having a quality cleaning of your property in the Longview, WA area, contact RestorationMaster at (360) 450-3505.